At the 1995 NAMM show thousands of players, media and dealers crammed into a small demo room inside the Peavey exhibit, one after another, where our engineers set up a blind A/B comparison between their new invention and a real tube amp. No one could tell the difference between the two. Some "golden ears" even thought the Trans Tube Bandit was the real tube amp. But How? In devising the Trans Tube Circuitry, our engineers studied every aspect of how a tube amp works. We learned that recreating tube tone isn't merely a question of gain structure. It's about the entire component chain and how each one interacts with the others. It's about damping factor and the corresponding speaker response. It's about power amp compression. How the amp breaks up when driven hard, harmonic structure and non-linear gain stages. It's about cabinet size, bracing, wood and thickness. But most importantly, it's about what it's not. Those other manufacturers' half-hearted attempt at tube emulation failed because they focused on the wrong elements. So we concentrated on emulating the tone characteristics we all recognize and love about tubes and 86'd the rest. It's a deceptively simple concept, but it took three U.S. Patents to map the entire process for the history books. 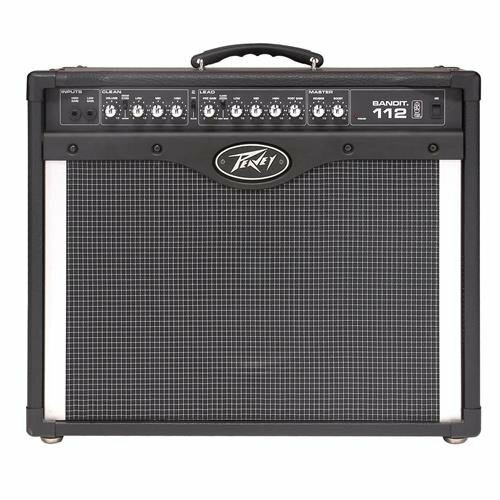 Set up a comparison at your Peavey dealer and discover the Trans Tube difference for yourself. No marketing hype needed. You won't believe your ears! 4100 Watt Professional DJ Power Amplifier - Adkins Pro Audio - Quality Audio at Affordable Prices!